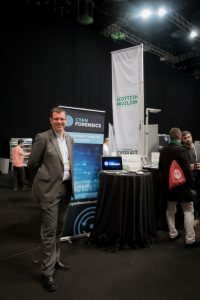 We were also very surprised to meet a couple of people who represented potential customers, and who had come to the event to scout out technology, and even one potential distributor! It’s a long path from first meeting to doing business, but we’re very happy with the number of leads we got from the event. It once again proved really worthwhile. It was great to be there this year as part of a Scottish Pavilion, with 4 other great companies – Mallzee, Yavi, The ID Co and Make it Social. Hopefully we helped raise the profile of Scottish Startups with the wider UK and European investment communities! Last year I said that I hoped there would be a Scottish Pavilion this year, and we did it. 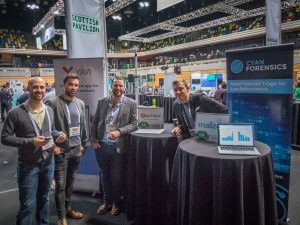 My wish for next year is that it can we can get more companies involved, and we can find some sponsorship to do an even better job of spreading the word about all Scotland as to offer the tech world!